As you may remember, Jenn and I did a prenatal class in January. There was another couple in the class who was also pregnant with twins. They were about two months ahead of us. They had their twins in the middle of March; an adorable little boy and girl. Anyways, I've exchanged a few messages with one of them over the last month or so. They invited us over for dinner last night, so we could get a sneak peak at life with newborn twins (and a dog!). We obviously felt horrible about having them cook for us, but they insisted. One of their mother's was staying with them so she was able to help out. When we arrived the twins were in their bouncy chairs, hanging out. Their bulldog was running around playing with his 'cuz' (Riley and Finn have one too). The babies were both very well-behaved throughout the night, so clearly life with twins is easy ;) Kidding, of course. The babies are now 6 weeks old and we were told that things are only starting to calm down (vvvvvery slightly). Their little boy is weighing in at 12 pounds now and has an adorable full head of hair that Jenn joked had hair product in it because it was up in a faux-hawk. He is an incredibly calm and laid-back baby who loves to stare at the ceiling! Their little girl is weighing in at 9 pounds. She is more energetic and was apparently the one who kicked constantly in utero. 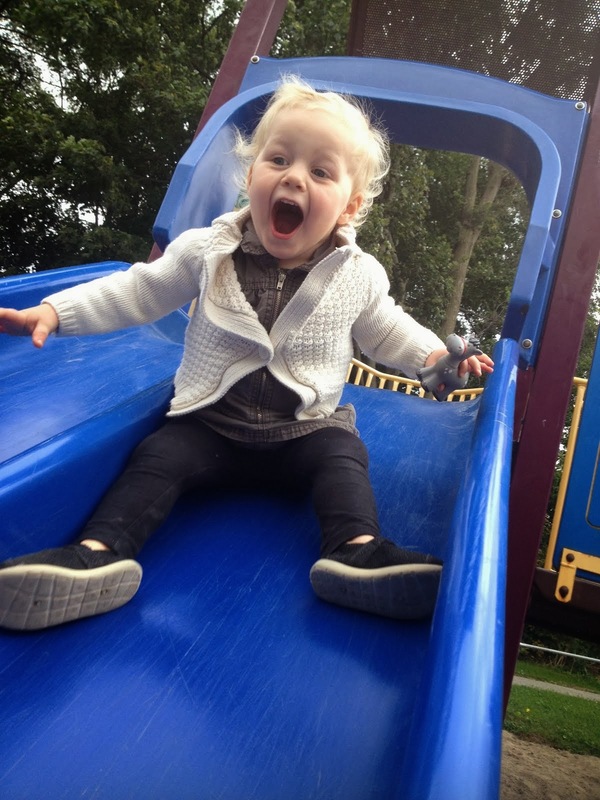 Amanda said that she was convinced that her little girl was going to come out screaming and sure enough, she was right! It was amazing to see the differences in personalities. It was awesome to get a sneak peak at what in store for us in the very near future. It's also great to know a couple who are a few months ahead in the 'twin raising process' because they've been a great resource already for questions and advice. With only a few weeks to go, I think we're as ready as we'll ever be! Glad that you two had such a nice visit. It's interesting to see that they said things are starting to calm down at 6 weeks. Can't wait to hear how things go when your girls arrive!